I’m really getting bored of beards in fashion ad campaigns, actually beards in general! I mean, they are all over the place. So guys, just go fresh, clean and shaven! 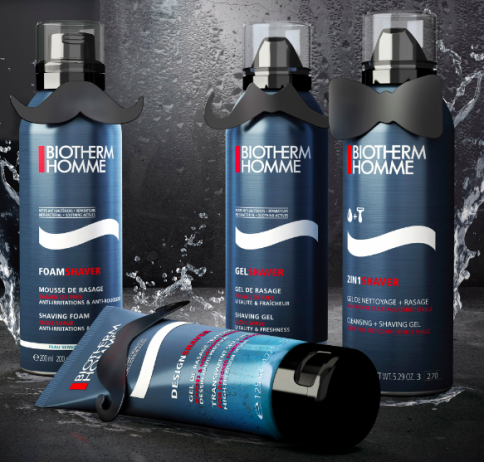 My favorite way to shave is with the shaving foam of Biotherm. With its transparent structure you won’t miss a hair while shaving. Because it is one of my favorite products, Biotherm is part of the anniversary giveaway. To win this shaving kit, all you have to do is send an email to info@commedesleroi.com and tell me what you think of the new website. *This giveaway will close November 22nd, the winner will receive an email shortly after.